If you are passing through Inverness Airport make sure you check out our fantastic Salmon Run created by local primary school children. 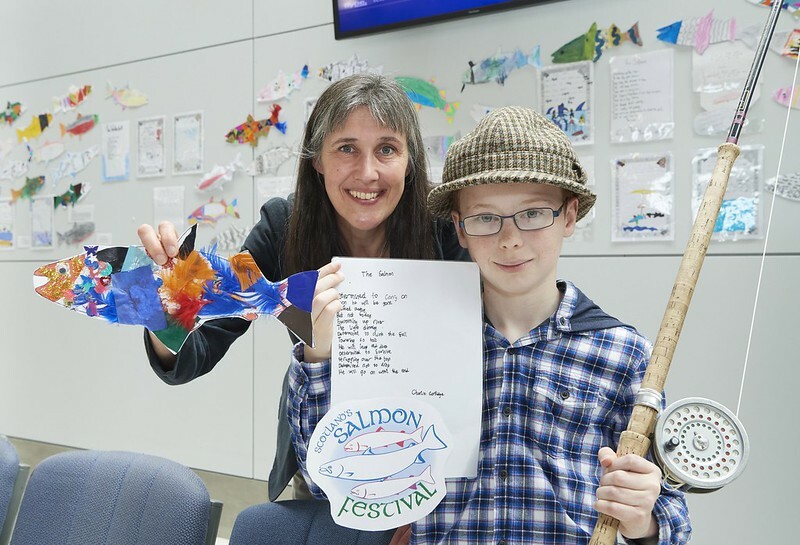 Charlie Cartlidge, a P6 pupil from Balloch Primary School, is pictured alongside Dr Melanie Smith, chair of Scotland's Salmon Festival steering group and Head of Research Development at Inverness College UHI, with his winning poem. 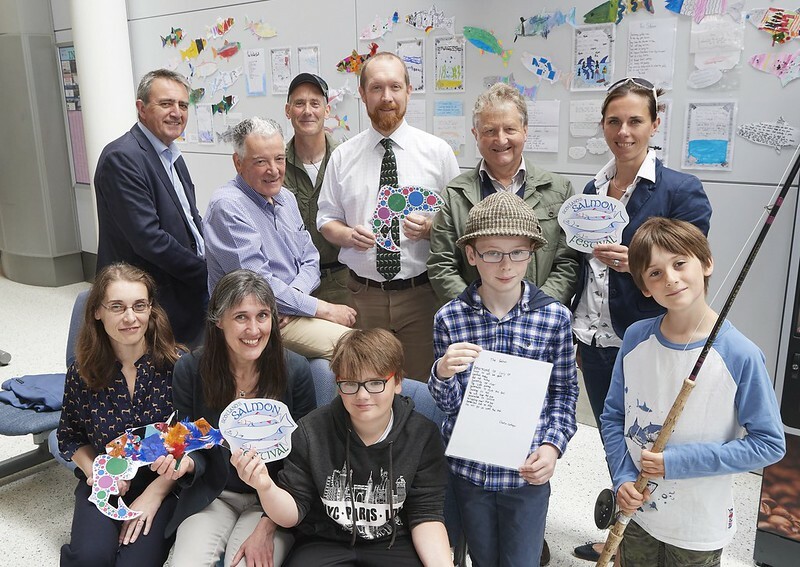 Children from primary schools throughout the Inverness area were tasked with writing a poem about Scotland’s native species and creating colourful pictures of the iconic fish as part of the festival. Around 200 pupils created decorated fish for Inverness College UHI’s Salmon Run competition, which now hang from the ceiling in the arrival hall at Inverness Airport. Poems written by the pupils are also on display. Poetry entries were judged by a panel which included Alan Scott, of Inverness Angling Club, Ian Blyth, a literature lecturer at Inverness College UHI and former organiser of the StAnza Poetry Festival in St Andrews, and Aoife Lyall, a poet and teacher at Culloden Academy. Charlie Cartlidge, a P6 pupil from Balloch Primary School, was named winner of the P4-7 competition with his poem about the salmon’s journey from freshwater to sea. Connor Hunter (P7) from Dalneigh Primary School was runner-up. Freya Swanson (P3) from Central Primary School took top prize in the P1-3 competition with her catchy poem, while classmate Lewis Dickinson was named runner-up. The pupils received book tokens and all three schools have been invited to visit the Inverness College UHI Rivers and Lochs Institute’s state-of-the-art laboratory at Inverness Campus.